Read the full report from NBC News. 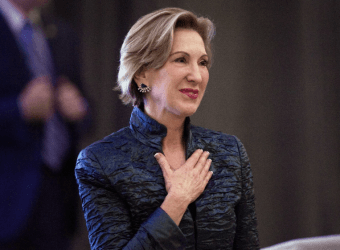 A decision by Carly Fiorina, the former GOP presidential hopeful, not to run for U.S. Senate from Virginia next year leaves Corey Stewart, the bombastic Prince William supervisor, as the sole declared candidate for the GOP nomination. Stewart, who came close to winning the party nomination for governor this year after running on a platform dedicated to protecting Confederate statues, said Fiorina’s absence from the Senate race clears the way for him to challenge Sen. Tim Kaine (D). Other potential hopefuls may be hesitant to “go through the Corey Stewart buzz saw and take on a somewhat popular incumbent,” Fredericks said. The general election, however, may turn on whether Republicans can beat Democrats in statewide elections this year. All five of the statewide offices are currently held by Democrats. If Ed Gillespie can reverse the trend and win the governor’s race, more Republicans may enter next year’s race for Senate. “Republicans may still have a primary – and it would be competitive – so we will let that play out,” campaign spokesman Ian Sams said in a statement. 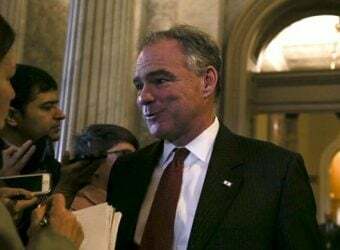 Kaine, a popular former governor and Hillary Clinton’s vice presidential running mate in 2016, is seeking a second term in the Senate. 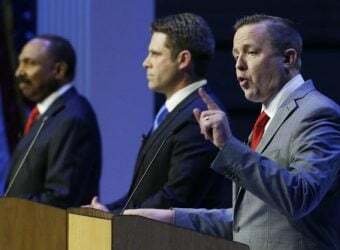 A February poll found him with a double-digit lead over potential Republican challengers, but that was before Stewart declared his candidacy. Read full report from The Washington Post. 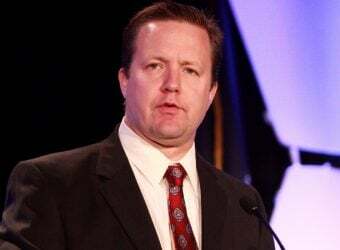 Prince William County Chairman Corey Stewart, fresh off a near miss primary upset in his recent Virginia gubernatorial bid, is at it again. Employing pure strategic brilliance, Stewart on Thursday launched his next campaign – this time for the GOP nomination for U.S. Senate to run against Democratic incumbent Tim Kaine in 2018 – in the middle of withering near 100-degree temperatures in Northern Virginia. 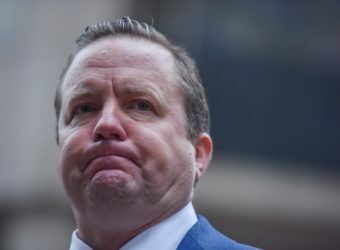 And a lot of Virginia GOP pols felt the heat – not of the summer sun kind – this was political heat, Corey Stewart style. Not for at least another 17 months, Ed. So get used to it. Truth be told: it’s all good. The timing of Stewart’s announcement is nothing short of masterful. It allows the now U.S. Senate candidate to continue raising funds while cultivating his small donor base – critical for a federal campaign that carries an individual $2,700 contribution limit. Virginia state races are like the wild west of fundraising – they carry no limit. So lots of smaller individual contributors become a lynchpin campaign asset in a federal statewide effort. Early fundraising also allows Stewart to keep his former gubernatorial primary campaign team with his vaunted ground game intact. Although key operatives like former campaign manager Spence Rogers and southwest Virginia war machine Jack Morgan are not on his new senate campaign payroll yet, they can’t stay unemployed for too long or they’ll be forced to look at other campaigns and opportunities. This keeps the team together. They’ll face challengers who have to ramp up and bring in new people. This gives Stewart a significant early edge in the nomination fight. Many credit Rogers, a former Iraq veteran who ran point on General David Patraeus successful Iraq surge and set up Sen. Ted Cruz’ winning 2016 Iowa caucus ground game with masterminding Stewart’s under resourced governor campaign. Opponents will likely have to deal with him again. And good luck taking on Morgan in southwest Virginia in a Republican primary. If you do, you best pack a lunch. The early launch additionally allows Stewart to keep his name front and center, and remain relevant during the 2017 statewide campaign. While surface level and lazy conventional wisdom by Virginia’s punditry class may suggest that Stewart’s ’18 foray would cause trouble for Gillespie, nothing could be more inaccurate. No doubt Stewart’s bombastic campaign rhetoric, his penchant for political bomb throwing and his take no prisoners demeanor will contrast drastically with Gillespie’s more measured collegial style on the stump, but Stewart has the ability to keep his base motivated for Gillespie in the fall. Stewart needs Gillespie voters and vice versa. This is an accidental match made in political heaven. 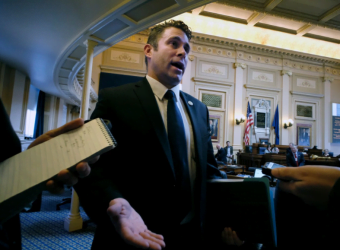 Does God feel sorry for Virginia Republicans? The more Stewart goes nuts on Democrats, the more votes from his base Gillespie gets on November 7, 2017 – with no downside for Gillespie’s more cerebral Northern Virginia electoral strategy. Why not vote for Gillespie if you like Stewart? He can help him raise a ton of money if he’s the governor and Stewart wins the senate nomination. Kaine will spend $30 million if he has to keep his seat. Gillespie knows a lot of people. His roll-a-dex is bigger than a New York City phone book. In his statement, Stewart left no doubt about the nature of his campaign. The fact that Stewart was dismissed as Virginia chairman of the Trump campaign tainted him in the ’17 race, and cost him valuable support from some Trump voters. It has no relevance two campaigns removed. That was yesterday’s news. Ed Gillespie’s election prospects just improved dramatically. You can thank Corey Stewart for that. Virginia Republicans, on seven game statewide losing streak, may have finally stumbled into the promised land. The other GOP candidates who are eying the ’18 race are now in a difficult position. We rate Stewart today as the clear frontrunner and decisive favorite for the nomination. She was the favorite when she went to bed Wednesday night. She’s an underdog to Stewart when she woke up Thursday morning. The former presidential candidate has the best chance to deny Stewart the nomination but she’ll start way behind in Southwest Virginia. And remember, Stewart carried his home county, Prince William by nearly three to one after many elected officials abandoned him. She is tough as nails and she’ll take it right to Stewart. Riggleman, short on cash, drew standing ovations wherever he went. He’s part Trump, part Rand Paul, part General Patton and part Willie Wonka. If he can raise enough money he can catch lightning in a bottle, give Stewart fits and win. Nowhere to go…Jackson’s dream scenario pitted him against several GOP party establishment moderates where he could carry the Trump and Cruz mantle simultaneously. That’s tougher with Stewart in the race. It’s not in the cards, Nick. The former Virginia governor received two votes in his precinct in the 2016 Virginia Super Tuesday GOP presidential primary. We’ll assume former first lady Roxanne voted for him. That’s a narrow base to build from. Can you say ambassador to Germany? To run for U.S. Senate in Virginia, famous Fox news contributor, noted author and nationally syndicated radio talk show host Laura Ingraham would have to get out of her chauffeured driven limousine and actually talk to regular working folks at a Waffle House in Danville. And eat grits. The green room at Fox with multiple make up artists is just so much more civilized.